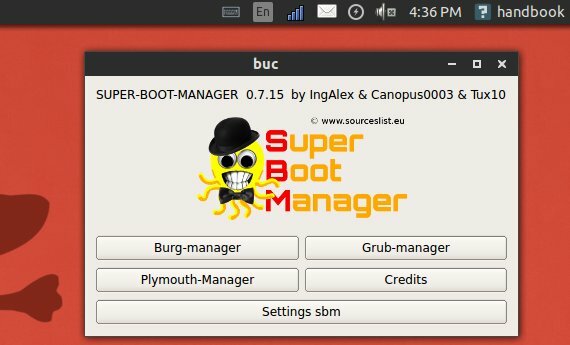 Super Boot Manager is a simple tool to configure Grub, Burg, and Plymouth. 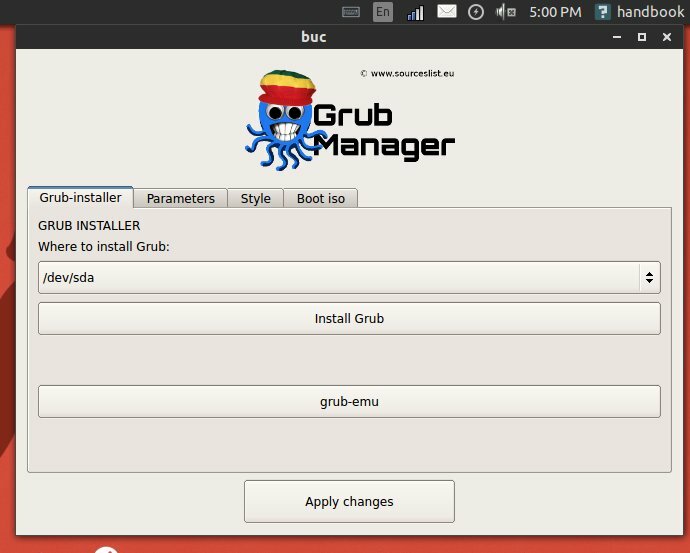 This interface also allows the installation of Burg, the installation of many graphic themes for Burg and Plymouth and it allows the creation of customized themes. The Super Boot Manager PPA is not ready for Ubuntu 13.10 Saucy Salamander. So here’s how to install it using the Raring DEBs. It works great in my Ubuntu 13.10 64-bit machine. After added the PPA, open Software & Updates from Unity Dash. 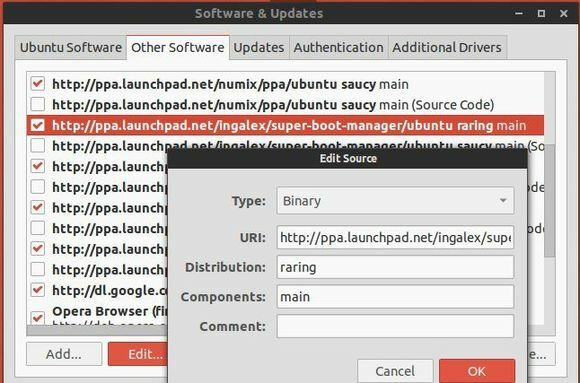 Under Other Software tab, find out the line says ‘http://ppa.launchpad.net/ingalex/super-boot-manager/ubuntu saucy main’. Edit and change the distribution from saucy to raring. Hi I attempted to use this PPA to install super boot manager as I have had it before in previous Unbunu versions. However I cannot get BURG to build when I boot into my computer. Thanks! This Tutorial works for me with Ubuntu 14.04 64-Bit. Thanks a lot!